A new book called The Dutch Girl: Audrey Hepburn and World War II, written by biographer and historian Robert Matzen, will provide “proof” that Audrey Hepburn was involved in anti-Nazi resistance as a young teenager in Holland. Audrey’s own reminiscences, new interviews with people who knew her in the war, wartime diaries, and research in classified Dutch archives shed light on the riveting, untold story of Audrey Hepburn under fire in World War II. Also included is a section of color and black-and-white photos. Many of these images are from Audrey’s personal collection and are published here for the first time. Besides being personally affected by the Nazi regime—Hepburn suffered from hunger and malnutrition due to scarcity of food—she also experienced loss at the hands of Nazis. Hepburn’s uncle, Otto van Limburg Stirum, was executed by Nazis for his refusal to support the regime in 1942. Hepburn began working with the Dutch Resistance at the age of fourteen. One of the ways she helped was through using her talents as a performer to participate in “black evenings” or illegal performances which featured music and dancing, which also functioned as informal fundraisers. In order to keep the performances secret, the windows of the venue would be blacked out (hence “black evenings”) and guards would be “posted outside to let us know when Germans approached,” according to Hepburn. Hepburn assisted in more direct ways as well. According to Matzen, “Audrey once said that one of her jobs was ‘running around with food for the pilots… As a fluent English speaker, she could communicate with the pilots, tell them where to go and who would help them.” She also helped distribute the prohibited Resistance newspaper, risking her life in the process. It’s clear that WWII, and her involvement in it, shaped Hepburn’s life more than was formerly known—The Dutch Girl is significant for the way it will allow Hepburn’s truth to finally come to light. The book will be released on April 15th, 2019. According to The Guardian, Associate Professor of English at Jesus College, Oxford, Marion Turner, who is Chaucer’s first female biographer, is also the first to look in depth at Chaucer’s fashion choices. While The Guardian notes that scholars have long known that Chaucer wore a ‘paltok’, bought for him as a teenager by his employer Elizabeth de Burgh, Turner notes that nobody seems to have investigated what exactly a ‘paltok’ was! There were many biographies, written by men, throughout the years focused on Chaucer’s masculinity due to how he writes sympathetic women in his stories and poetry, in a time where toxic masculinity was the norm. Chaucer was someone who was ahead of his time and was with independent women, like his wife, who made her own money, and they lived independently rather than the traditional ways of marriage like most people lived by. Turner speculates that he took care of his daughter and always visited her at the nunnery where she was staying. Read more of the article from The Guardian if you want to learn more of this fascinating find in literary history! 5 Non-Fiction Books You Need to Read Right Now! As 2019 continues on, we have a lot of book releases to look forward to. Heck, if you want to see the list of the top three books I can’t wait for, check out this list. Thank you for clicking on that. Now you might notice that one of those books, Furious Hours: Murder, Fraud and The Last Trial of Harper Lee, is non-fiction. That book has not come out yet, but in honor of my anticipation here are five non-fiction books that have come out this year and are, above all, wonderful, eye opening, great reads. Released on January 22nd, Stephanie Land’s autobiography beautifully describes her life, post-eviction, as she recalls being tossed onto the street, working as a maid in houses she could never afford just to make ends meet and struggling with poverty. With dreams of moving to Montana, attending college, and becoming a full-time writer, Land’s life-long goals are always just out of reach, pushed back by childcare fees, heating bills, and rent. It’s a memoir that takes you through the underbelly of America. Gritty, soul-crushing, this is one for the masses to take heart. Released January 15th, Joshua D. Mezrich’s autobiography describes the tribulations and hardships of being a surgeon. Questions like “How much risk should a healthy person be allowed to take to save someone she loves?” or “Should a patient suffering from alcoholism receive a healthy liver?” are questions he faces on a daily basis, but nonetheless they are life changing. 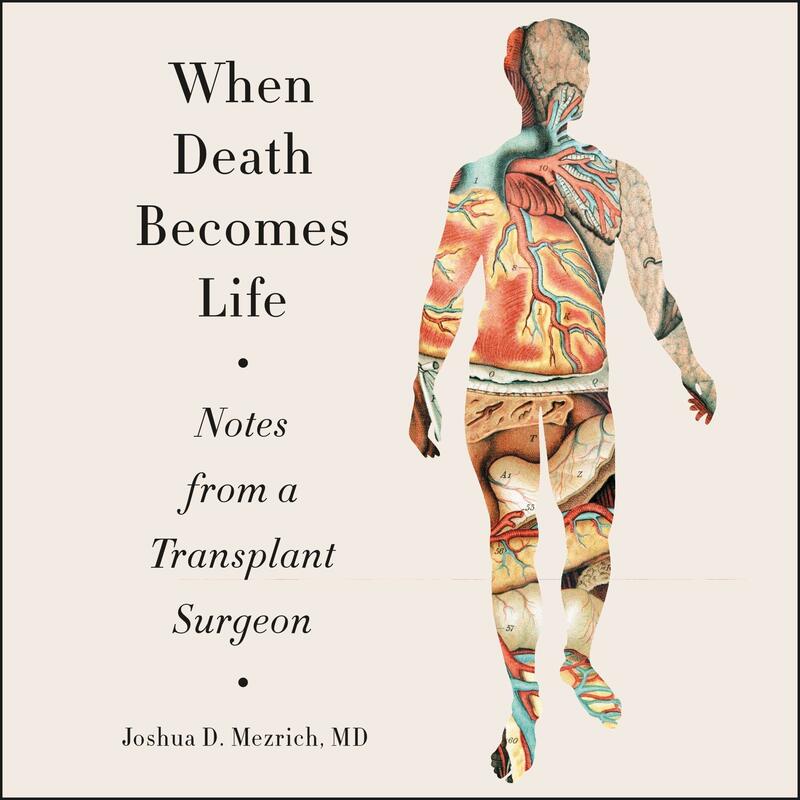 A transplant surgeon by trade, the book opens with Dr. Mezrich, ferrying organs, getting aboard a small plane that winds up getting caught in a violent thunderstorm. The drama speaks for itself: not only are the passengers on the plane in danger, but the people who desperately wait for those organs are in danger of dying thanks to a storm they are far away from. What’s going to happen? Read the book, but know that on CSL’s website Kevin Kovaleski, CSL Behring’s Senior Director and Therapeutic Area Strategy Team Lead-Transplant, said, “Mezrich’s book sheds light on a critical area of medicine, one that’s ready for advancements, innovations and breakthroughs”. Despite its release on November 13, 2018, Michelle Obama’s autobiography is still going strong, and for good reason. 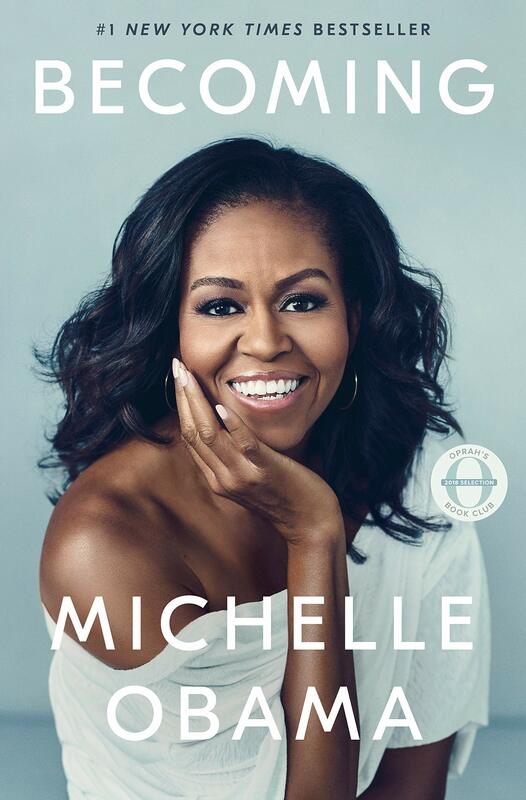 The Guardian calls it “frequently funny,” Vanity Fare states, “surprisingly candid, richly emotional, and granularly detailed that it allows readers to feel exactly what Michelle herself felt at various moments in her life,” while the The New York Times noting that the book is more about motherhood than politics. But I know what you’re asking: What’s my opinion? It’s great! 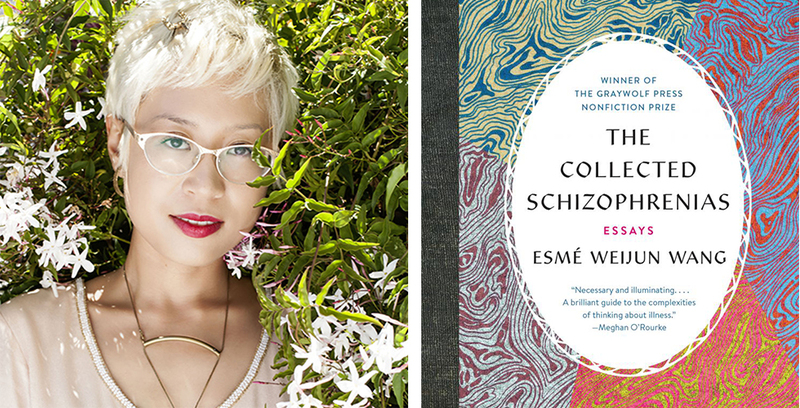 The book shows that living with mental illness isn’t pretty, isn’t horrifying, but at its core is completely human. 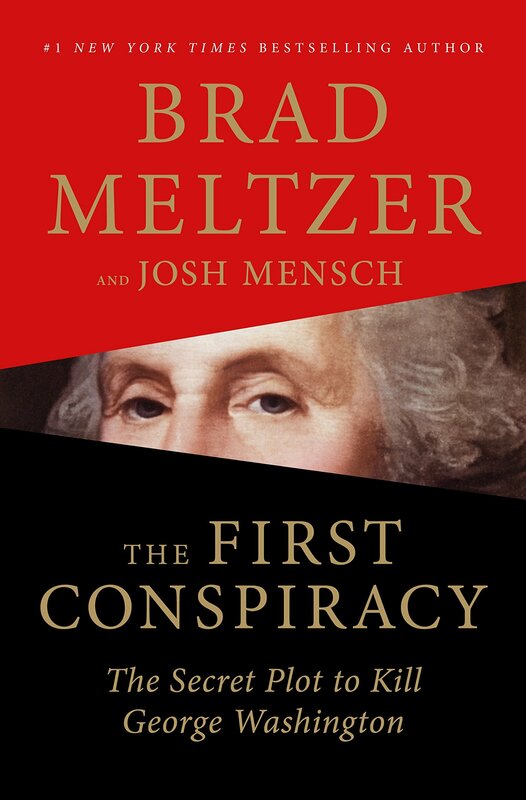 Released January 8th, this book details the foiled plot to murder George Washington. George Washington, in case you didn’t know, was this General guy who became President or something. I kid. It’s actually remarkable. Also check out Furious Hours: Murder, Fraud and The Last Trial of Harper Lee when it hits bookshelves May 7th. The upcoming Stardust biopic about the early years of David Bowie is already facing considerable criticism according to BBC. Bowie’s son, BAFTA-winning film director and producer Duncan Jones, has even blocked the film from using the late icon’s music in the soundtrack. The film has cast Johnny Flynn to play a young Bowie and Jena Malone as his wife, Angie. Stardust will document Bowie’s first visit to America in 1971, in which he was inspired to create his Ziggy Stardust persona and The Rise and Fall of Ziggy Stardust and the Spiders From Mars album. Jones took issue with the producers who developed the project without the family’s consultation. As a result, the film will have to be made without the family’s blessing or the legal rights to David Bowie’s songs. On the other hand, Jones specifically mentioned that if Neil Gaiman were to write a biopic about David Bowie at any point, then the film would definitely have the family’s blessing. Kurt Cobain is a music and social icon of the 1990s who succumbed to a tragic end. He is widely cherished and missed through his music. There already are many different biographies out there on Cobain’s life. However, a new one is being made and it’s tempting us to learn even more about Kurt Cobain through the words of one of the people closest to him. Trapeze will be publishing the new book. The biography will focus on Cobain’s previous manager, Danny Goldman, and his interactions that formed his close relationship with the former star. Goldman argues that the biographies about his dead friend that are already available aren’t as accurate as how he knew Kurt to be. With this new take on the artist’s life, we are promised a completely different and new telling on the man, myth, and legend that was Kurt Cobain. Danny Goldman worked with Nirvana during the time of their hit album Nevermind. To him, these were the most important years of Kurt’s life: from 1990-1994. Cobain was married, had his first child, and his problems with his fatal addiction were at their worst. Trapeze has disclosed that it will be focusing on never-before-heard or seen stories and files from Goldman, as well as other unnamed sources. The new biography will be titled Serving the Servant and will be available in April of next year. For all you Nirvana fans out there, this is definitely a must-read to check out!